Enkuro is the Premier FERC Electronic Tariff (eTariff) and Electronic Quarterly Report (EQR) Management Software. 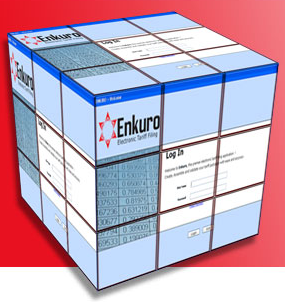 Enkuro Software has always been known for its unmatched support and maintenance capabilities. We understand your system from both a business and technical perspective. Enkuro provides a user-friendly, powerful, feature-rich solution for electronic tariff management. Clients will leverage a intuitive user interface that enables ease of use, accurate, secure and robust platform to create, manage and submit electronic quarterly reports starting Q3 2013. ​Enkuro Software is a licenses software. The following licensing options are available.